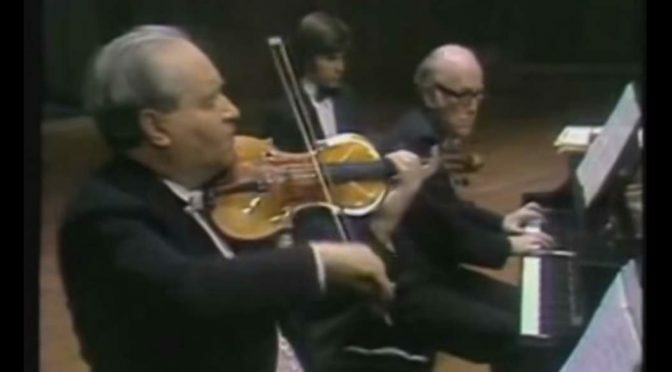 Renowned Soviet classical violinist and violist David Oistrakh and the Russian pianist Sviatoslav Richter, who known for the depth of his interpretations, virtuoso technique, and vast repertoire, perform Johannes Brahms’ Violin Sonata No. 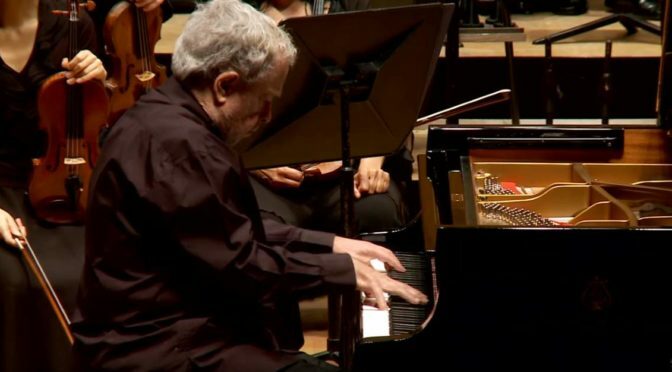 3 in D minor, Op. 108. 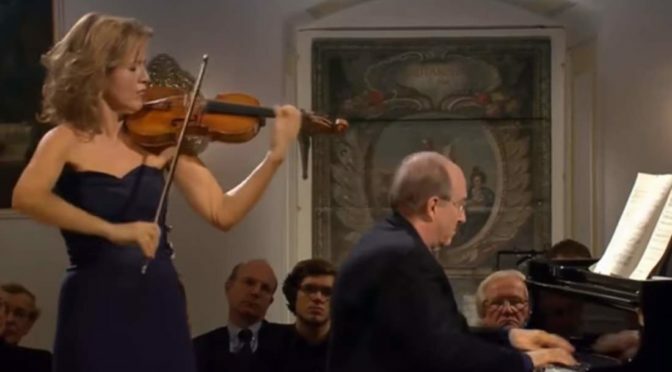 German violinist Anne-Sophie Mutter and the American pianist Lambert Orkis perform Johannes Brahms’ Violin Sonata No. 2 in A major, Op. 100 (“Thun” or “Meistersinger”). 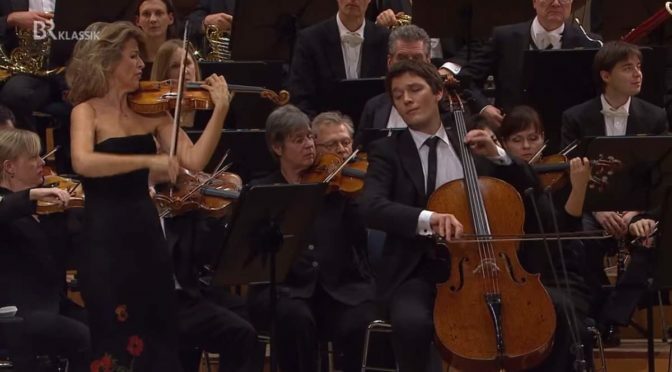 Accompanied by the Deutsche Radio Philharmonie Saarbrücken Kaiserslautern, German classical violinist and pianist Julia Fischer and the German cellist Daniel Müller-Schott perform Johannes Brahms’ Double Concerto in A minor, Op. 102, a concerto for violin, cello and orchestra. Conductor: Christoph Poppen. Recorded live on December 16, 2007.